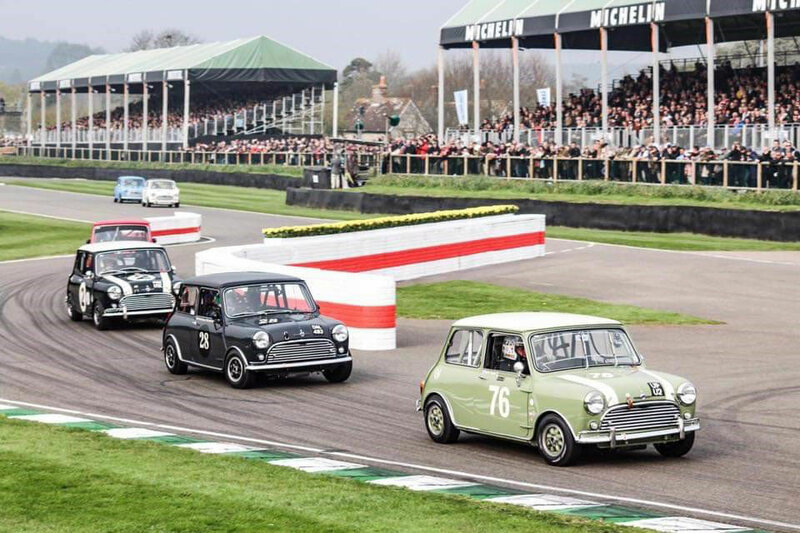 Powerlite starter motors to the fore in epic Goodwood Mini encounter. Spectators at the recent 77th Members Meeting at Goodwood were treated to an incredible display of racing by the worlds finest exponents of Mini racing. 60 Minis were assembled at the famous West Sussex venue to cele-brate the 60th anniversary of the iconic Mini. Two 30 car ‘semi-finals’ on the Saturday created an aggregate final grid on the Sunday for the fastest 30. What then transpired was a race that will be talked about for years and has already no doubt, gone down as one of the highest of highlights since the classic venue re-started it’s motor rac-ing activities. From the 60 cars entered, over 80% of the grid used Powerlite starter motors with the top 6 in that final all using the products. Nick Swift, Nick Padmore, Jonathan Lewis, Ian Curley, Darren Turner, et al , provided 20 minutes of heart in the mouth stuff, only settled in the last few yards of the race. The first four cars crossing the line covered by less than a second. Thank you to everyone who made the meeting such an incredible event and just to say that we had played a small part in it makes us hugely proud. Here are a few NEW units recently added to our Powerlite range of high torque start motors. A new high-torque starter motor for more Italian motoring icons. Our new RAC512 for the Fiat 124 Special T, 131 Supermirafiori, 132 etc. Great for fans of Fiat! Simply swap for the original for our high torque starter, twice the power and half the draw off the battery. For road, race & rally! Another new high-torque starter motor, hot off the factory floor. This time for a classic piece of Americana. A 12v 1.4kw unit for the GM (Chevrolet GMC etc.) Stovebolt straight 6 engine used in all things wonderful in the good old USA. Great news for many classic Alfa Romeo owners. 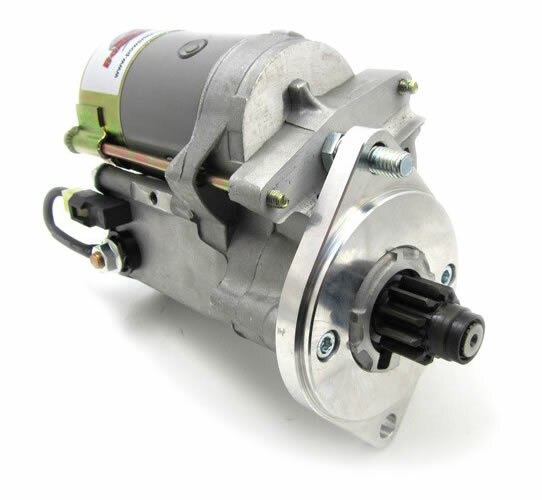 We are pleased to announce our new RAC516 hi-torque starter motor for the 2600 (Tipo 106) engine for Berlina, Spider, Sprint, Berlina Deluxe & Sprint Zagato. More performance! More reliability! Less weight! Top work by the engineers in the factory, adds another important hi-torque starter motor to our portfolio. For the majority of cars with the Ford Taunus V4 & Cologne V6 engine this is a massive improvement over the original and is a direct fit replacement. 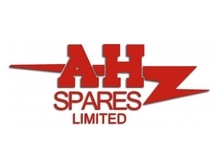 So perfect for the Capri Power, Reliant Scimitar, Saab 96 and Ford Granada and many more! Keeping your dream alive! For more information on these new units to our range, click on unit links below. Powerlite are at Race Retro this month at Stoneleigh Park, Coventry (Friday 23rd - Sunday 25th February) We are in Hall 2 Stand 2-04 with some Special Offers on all our units. WE ARE OFFERING MANY OF OUR TOP SELLING UNITS AT A VERY SPECIAL REDUCED PRICE DURING RACE RETRO. THE SPECIAL PRICES ONLY APPLY TO THIS SHOW, AND ONLY APPLIES TO GOODS PURCHASED OR ORDERED BETWEEN FRIDAY AND SUNDAY AT RACE RETRO, OR UP TO FRIDAY 2ND MARCH 2018. THIS IS A UNIQUE OPPORTUNITY TO PURCHASE DIRECT FROM THE MANUFACTURER, AND THESE PRICES WON’T BE REPEATED! !